Dr. Tara Levy received her Bachelor of Arts from Vassar College and her doctor of Naturopathy (N.D.) degree from Bastyr University in Seattle, Washington. While at Bastyr Dr. Levy also pursued her certificate in midwifery, so that she could provide full family care in her practice. Following her training, Dr. Levy moved to California and began working at Mt. Diablo Natural Health Center, now Tara Natural Medicine, in 1999. In addition to her practice Dr. Levy has been deeply involved in the naturopathic profession, including working for passage of the California Naturopathic Doctors licensing law in 2003. She has served in various board positions with the California Naturopathic Doctors Association, and was the CNDA president from 2004-2006. In 2010 Dr. Levy was appointed by Governor Schwarzenegger to the state Naturopathic Medicine Committee, the entity responsible for the regulation of naturopathic doctors in California. 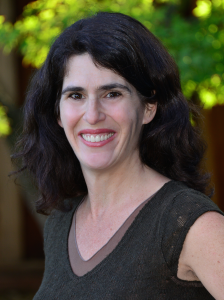 Dr. Levy is highly regarded for the individual care and attention she brings to her practice, and is known for her ability to connect with people and understand their concerns. Dr. Levy works with a wide variety of patients and conditions, and has focused much of her continuing education training on pediatric medicine and women’s health. A natural communicator, Dr. Levy spends a great deal of time teaching people about their health and explaining any recommended treatments. In addition to her practice, Dr. Levy is a popular speaker, and lectures frequently to both professionals and the public about a variety of topics in natural health care. Dr. Levy lives in Oakland, CA with her partner and 2 children. © Tara Natural Medicine. All rights reserved. The information on this web site is not intended for purposes of diagnostics or treatment. Please consult your doctor before beginning any treatment for a medical condition.